How do you normally respond when someone is unexpectedly nice to you? Our typical response is to want to pay them back as quickly as we can or to give them something in exchange. This works very well with the Hari Krishnas at the airport giving someone a flower, the person gives them money out of obligation, then throws the flower away. The Krishnas collect the flowers from the trash and give them to the next person (this story is captured well in Influence). We can certainly be influenced simply out of a sense of obligation to return a favor, even one we don’t even feel that grateful for. 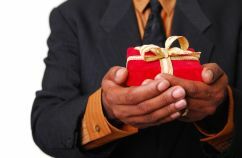 However, there are times that this generosity comes from strangers who genuinely minister to the needs that you have. For example, our Mexican neighbors are very warm and open — often inviting us to visit with them. When our internet was not yet installed, they let me use their front patio and wireless connection. Occasionally, they would even bring me some lemonaide. This morning when our tank of gas ran out [READ: no hot water], they helped us call the right company and offered some coffee while I was waiting. They are kind and generous. As I have experienced their generosity, I want to repay them, not out of a sense of obligation, but out of gratitude for what they have given. It is difficult to identify exactly how to do so. As I have continued to think about this, I’ve decided that it is better to look for opportunities to return the generosity when they don’t expect it, or simply be generous to others as they were generous to you. Also, I know that when I have an opportunity to be generous, that it is a blessing to be able to be generous with others. As we pursue mutual giving, a virtual cycle is created and ultimately, provides a foundation for intimate friendships.